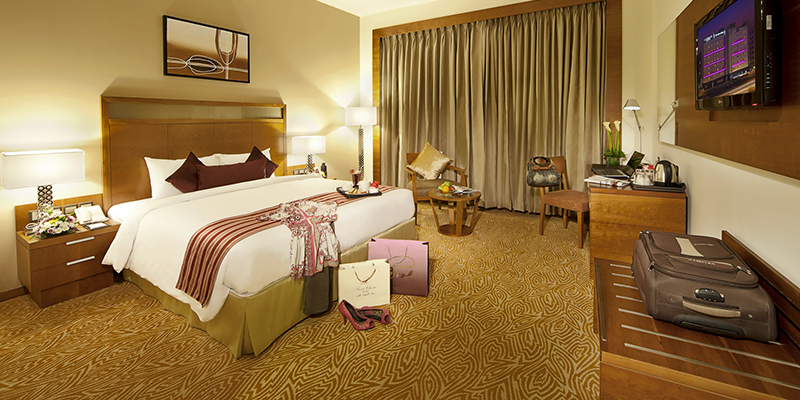 Standing tall in its 4 star extravagance in the heart of Dubai, Landmark Grand brings you an unforgettable taste of the city of dreams. 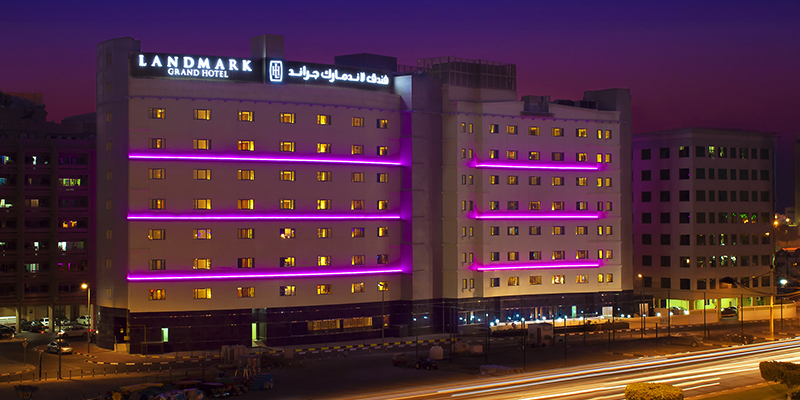 Located opposite the iconic Al Ghurair Mall on Riqqa Road, the Landmark Grand is at the hub of exceptional business and shopping experiences. 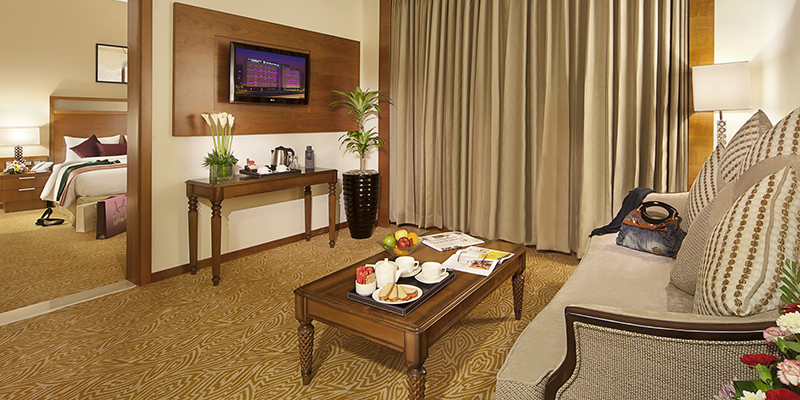 With a host of outstanding services, the award winning hotel caters to business and leisure travelers alike. Stunning details and finish are evident in the incredible work of architect Reza Kabul. 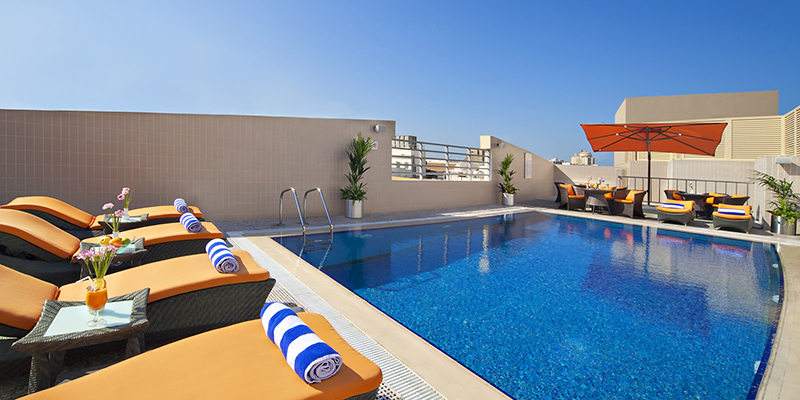 The hotel is a short 10 minute drive from the Dubai International Airport and easily accessible to the Union Square Metro Station (a transfer station between the Red and Green lines of the Dubai Metro), Al Riqqa Metro Station and several other landmarks and key destinations in Dubai. 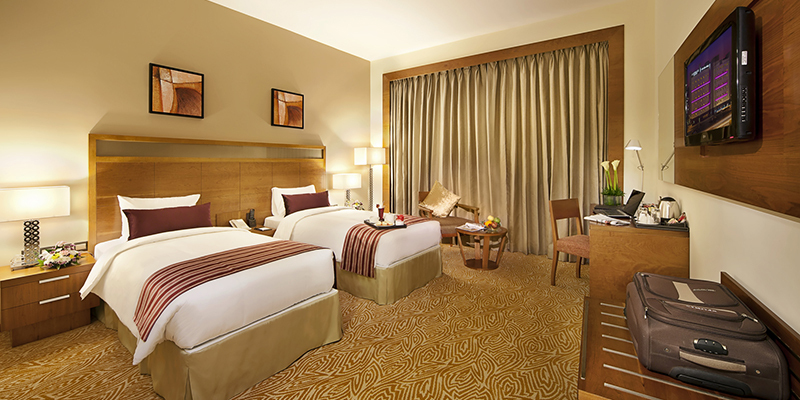 At Landmark Grand, the 153 deluxe standard rooms, 14 junior suites and 7 executive suites are elegantly appointed and designed with utmost comfort in mind. 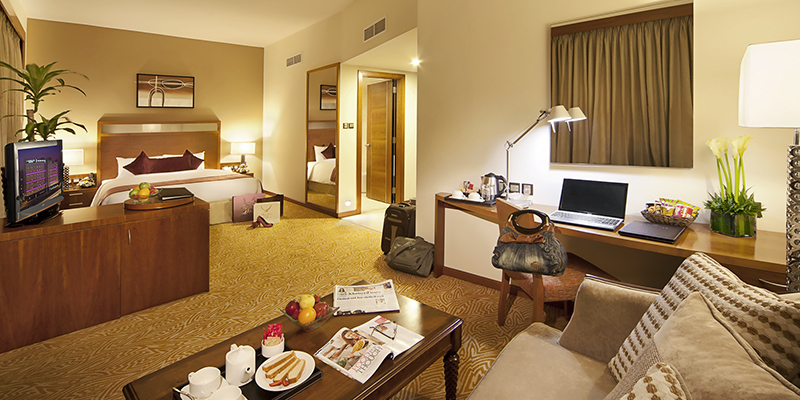 Fitted with stylish furnishings and equipped with modern facilities, the rooms provide an ideal base for business and exploration in Dubai. 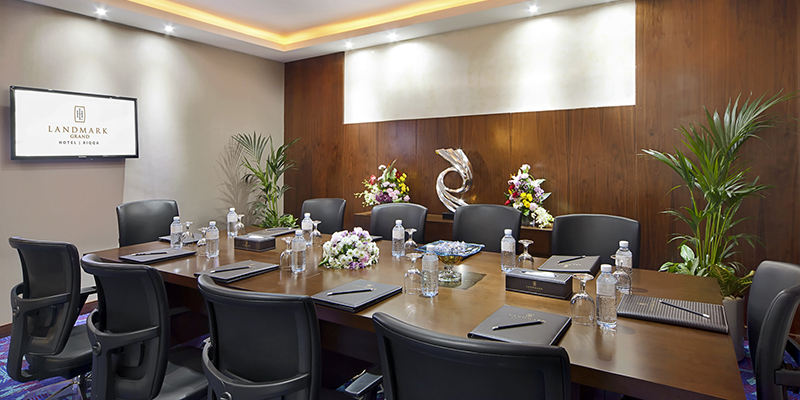 Three Meeting Rooms with modern design and interiors with a seating capacity of 10 to 30 people, equipped with wireless connectivity and state-of-the-art audiovisual equipment. Delights All Day Dining restaurant is ideal for leisure dining or a power-packed business meal. The native Filipino chefs take you on a culinary adventure with inspired wonders, blending the traditional cooking trends with their own twists to create something wonderfully unique.